New home features buyers are looking for include comfort, durability, design, and peace of mind. M Squared Builders & Designers believe their basic home provides you with each of these qualities. 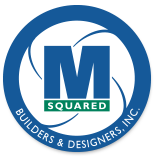 Benefits of an M Squared new home are energy efficiency that results in lower monthly operational costs, superior air quality for you and your family, environmentally friendly green building practices, and a home designed to meet your needs. Call (919) 620-8535 to discuss an interactive, creative, and practical approach to any construction project!